Every great kitchen needs a great coffee maker, that’s what we think anyway. But you do need something else too. Coffee is perishable and should be treated as such. It will deteriorate quickly once it is ground due to the increased exposure to oxygen and moisture. Coffee experts seems to agree that ground coffee should not be stored much longer than an hour. Of course the best way to ensure that is to grind the beans just before making your coffee. 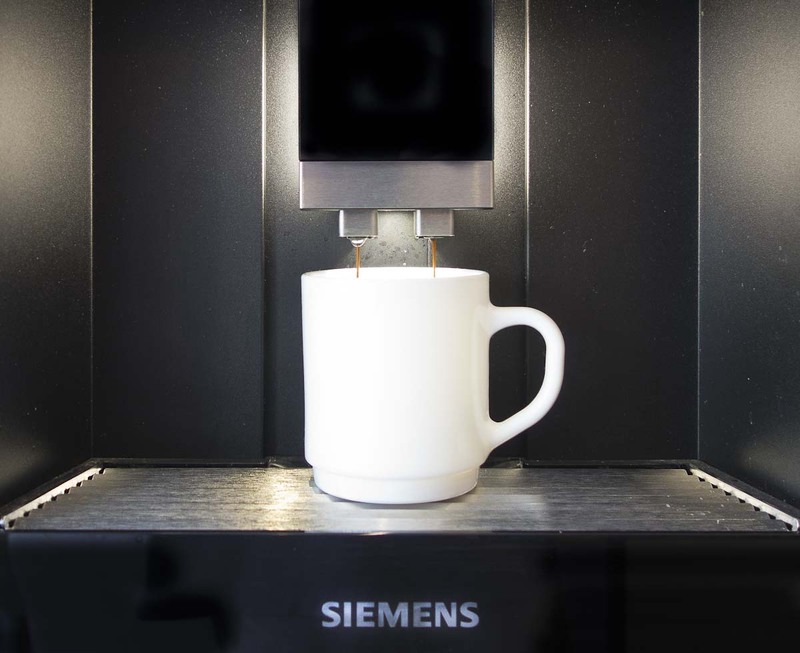 The Siemens coffee machine only grinds the required quantity of coffee beans when making the coffee, so the grind is about as fresh as it can be. Of course, it still relies on having fresh beans for the ultimate coffee pleasure. That’s why the bean store in the machine has an air-tight seal. It is, of course, advisable to store your beans correctly prior to putting them in the machine. Come and see it at our Heathfield showroom, and better still, sample the coffee it makes. We are pretty sure you’ll not be disappointed.